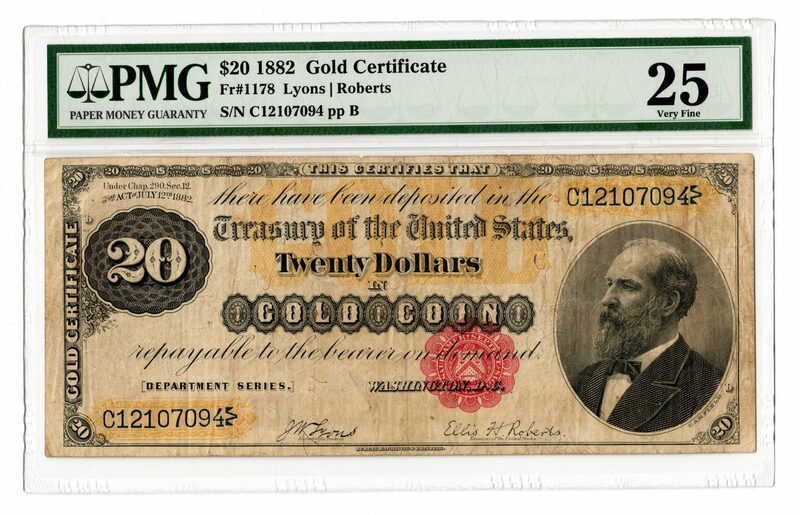 1882 US $20 gold certificate, depicting the portrait of President James A. Garfield, engraved by Charles Burt (Scotland/New York, c. 1823-1892), obverse. Vignette titled "Ocean Telegraph" depicting a large eagle carrying a lightning bolt, designed to commemorate the completion of the Atlantic cable in 1858, reverse. Serial # C12107094/ pp B. FR # 1178. Lyons/Roberts signatures. PMG graded 25/Very Fine. Provenance: the collection of the late James A. Newman (Nashville, TN, 1892-1964). 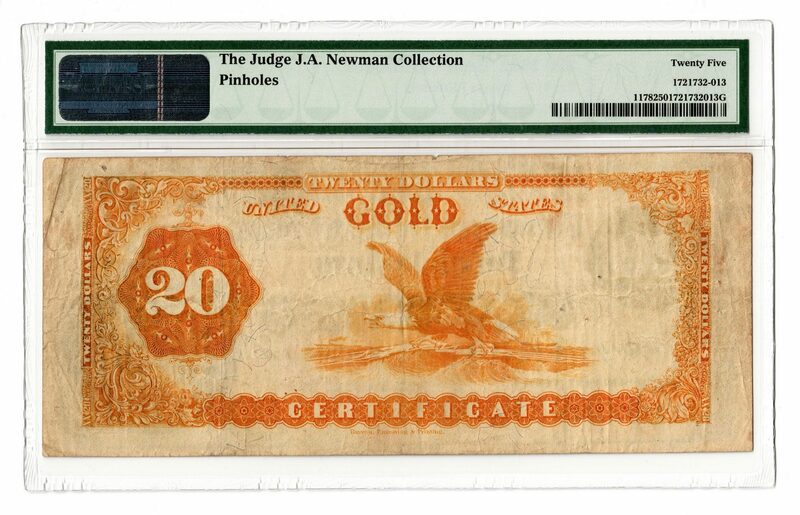 CONDITION: PMG graded 25/Very Fine. Pinholes.